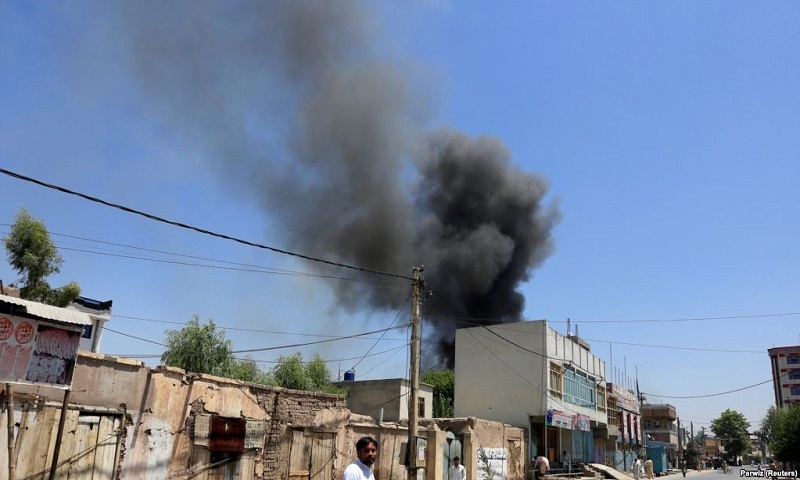 Afghan officials say a roadside bomb has killed at least 11 civilians in the eastern Nangarhar province. Attahullah Khogyani, spokesman for the provincial governor, says the victims of Sunday's blast include six children. The attack occurred on the second day of Afghanistan's parliamentary elections, which were extended because of attacks on Saturday and technical issues that caused hours of delays. Parliamentary elections in Afghanistan have entered a second day following violence and chaos that caused delays and interruptions on the first day of polling. Independent Elections Commission Chairman Abdul Badi Sayat says over 3 million people out of 8.8 million registered voters cast their ballots on Saturday. The biggest turnout was in Kabul and the lowest in the southern Uruzgan province. Polling on Sunday continues in 401 voting centers, including 45 in Kabul. Polls close at 4 p.m. (1130 GMT). Results will be announced next month. Twenty-seven civilians and 11 Afghan security forces were killed and more than 100 others wounded in nearly 200 attacks on election day across the country.